WOODINVILLE – Woodinville in western Washington is probably not well known by readers of this blog. Get ready, because the change is coming. The Woodinville wine industry began with the establishment of Chateau Ste. Michelle in 1976. The area now has more than 50 wineries and tasting rooms. Almost all Woodinville wineries grow their grapes in the warm, arid climate of the Columbia Valley which boasts sandy, gravely soils – great for planting vines. Washington’s wine growing region shares similar latitudes to the great wine growing regions of Northern Europe with long warm days to ripen grapes to ideal levels. There was a lot to like and to add to the enjoyment, the grand tasting was followed by aq delicious lunch at the Barking Frog with tasty dishes paired with wines from DeLille Cellars. Totem Cellars Cabernet Franc ‘07 – Released just a week ago. Smooth with a touch of spiciness. Sparkman Cellars Stella Mae – This is a top rated red blend of Cab Sauvignon, Merlot and Petit Verdot. Beautiful black cherry and currants. Distephano 2005 Sogno and Donna Marie. The Sogno is a beautiful red that is 98% Cab Franc with layers of berries and complex layers with tea notes. Donna Marie is a Rhone style blend focused on Syrah. Blackberries, vanilla and pepper. Baer Winery Ursa – Baer is a small family run winery. I sampled two red blends and Ursa, the Merlot-Cab Franc blend really wowed me with strong flavors and great balance. They only produce a total of 2,000 cases per year. DesVoigne Cellars ‘07 The Duke. A blend of 60% Zinfandel, 13% Petit Sirah, 13% Lemberger plus Cabernet Franc and Syrah. What’s not to love? Velvety with a l0ng spicy finish. One of the best of the tasting. As proud members of the "Hoodinville" community, Thank you for the post! And for loving our Co-Op member Des Voigne Cellars as much as we do. 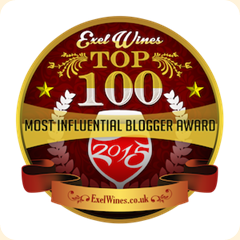 As proud member of the "Hoodinville" wine community, Thanks for the post! And for loving our Co-Op member Des Voigne Cellars as much as we do. I am so happy to hear that the WBC or Bust group enjoyed their visit to Woodinville and discovered our wines. Hope you can get some of them in your area. I am a big fan of the DesVoigne The Duke also.